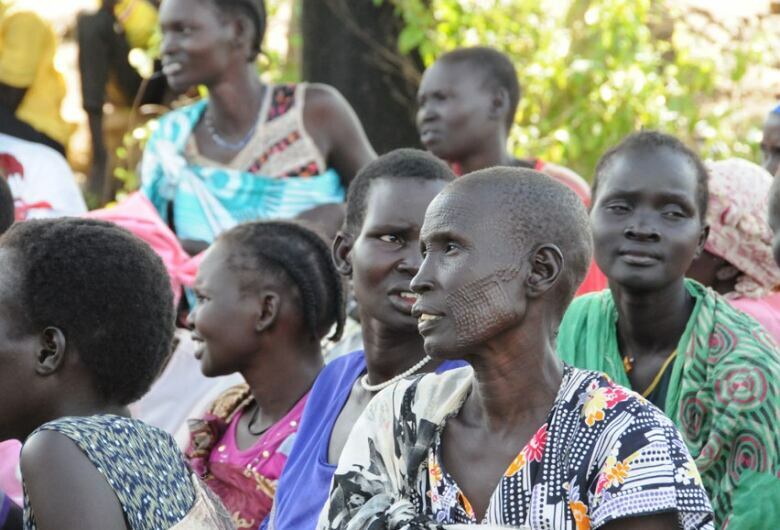 More than 100,000 South Sudanese have poured into Uganda since fighting resumed in their homeland in July, straining resources of the World Food Program and leaving refugees hungry and desperate. Mary Opia Phillip has no money to buy food and she's run out of things to sell. 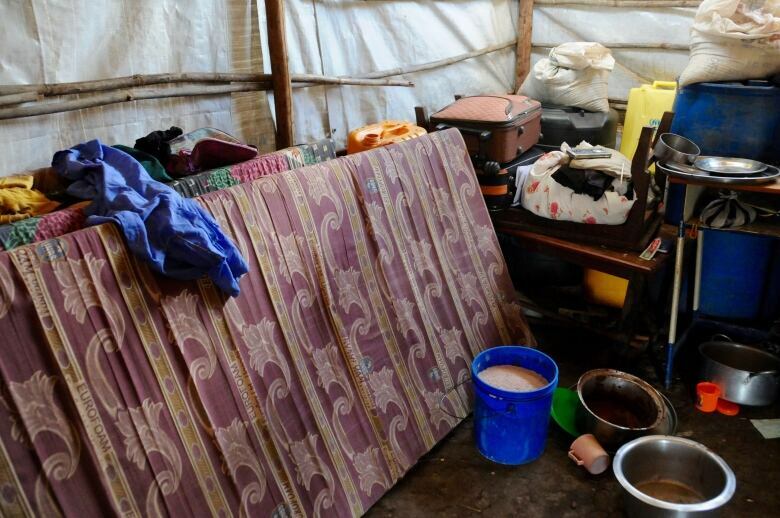 The 32-year-old refugee sold her own clothing and a few bedsheets to scrape together enough money to feed her five children. She's one of more than 100,000 people to arrive at refugee camps in northern Uganda after a resurgence of fighting in South Sudan in July. The fighting broke out on the eve of the young country's independence day, between forces loyal to President Salva Kiir, an ethnic Dinka, and those loyal to First Vice President Riek Machar, an ethnic Nuer. Despite a ceasefire called in July, sporadic attacks and fighting have continued in some parts of the country, including a recent escalation in the southwest around a city called Yei. The UN refugee agency says more than one million people have fled the country and 1.6 million are displaced within South Sudan. There are refugees in Ethiopia, Sudan, Kenya and Congo, but Uganda has taken more than any other country, upwards of 373,000 people. "I never thought I would be selling my clothes, but I did it because I have nothing. It was my last option," she said in Madi, a language spoken in South Sudan and northern Uganda. "Now we are just waiting to see whether we will survive or die." 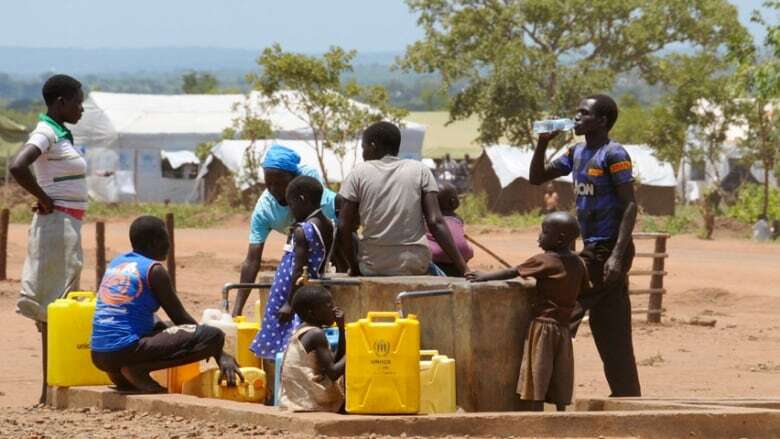 With an influx of refugees that at one point reached up to 8,000 people a day, the Ugandan government, the UN refugee agency and the World Food Program have been forced to cut rations in half for people who arrived as refugees more than a year ago. Donations from many countries – including Canada – add up to about $5 to $6 million US a month right now, according to the World Food Program. The organization needs about $7 million US monthly to provide a full ration to all the refugees. This year Canada contributed $750,000 Cdn to the refugee program in Uganda. 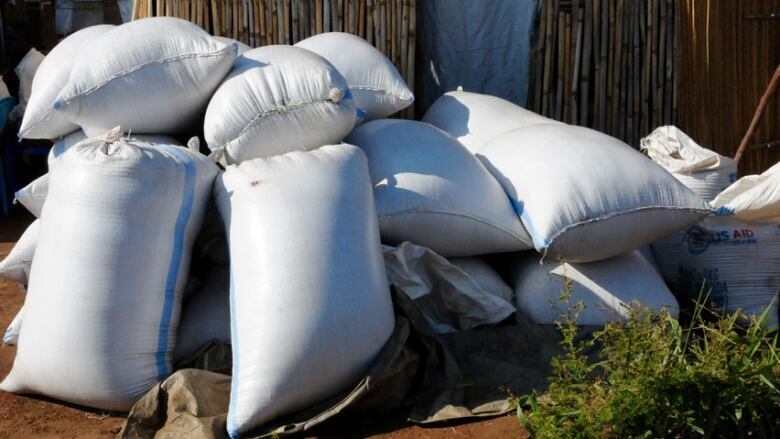 "The numbers are escalating and the resources we are receiving are not matching that escalation," said Mike Sackett, WFP's country director in Uganda. Sackett said WFP needs another $20 million to restore full food rations for all refugees until the end of the year. "We are really stretched, particularly with the large number of newcomers," he said. "Without very significant contributions we face the prospect of having to make more cuts." Refugees in Uganda receive a plot of land and supplies to help them build a house and a latrine, and to plant crops. But in their first months they rely on food provided by the agencies in the camps. A family arriving in Pagirinya refugee settlement, where Opia Phillip lives, would receive a sack of grain – in this case red sorghum – along with a cup of vegetable oil and some other basic foods items each month. 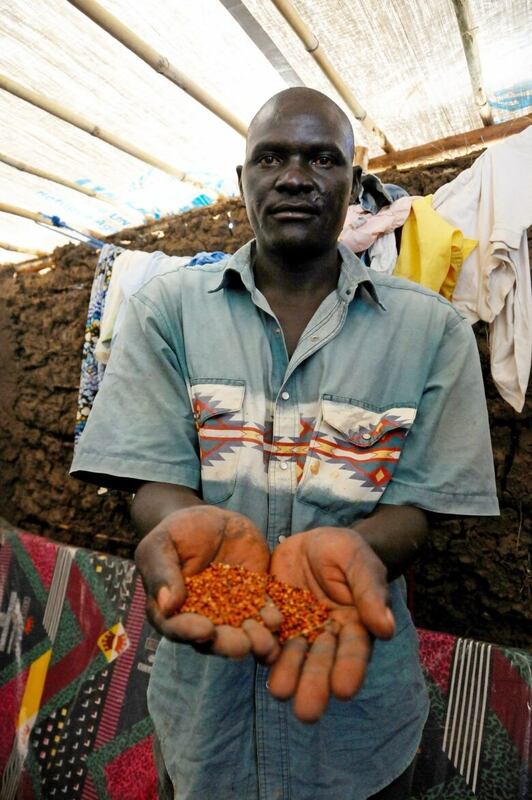 But the red sorghum isn't a food familiar to many South Sudanese, who are used to cooking with a finer white sorghum. To eat it, they want to mill the grain and mix it with cassava – options too costly for most refugees, who fled fighting, leaving their possessions and money behind. Opia Phillip arrived at the border with just 100 South Sudanese pounds – less than $3 Cdn. She sold a few dresses for 5,000 Ugandan shillings (about $2) and two sets of bed sheets for 15,000 shillings (about $6). 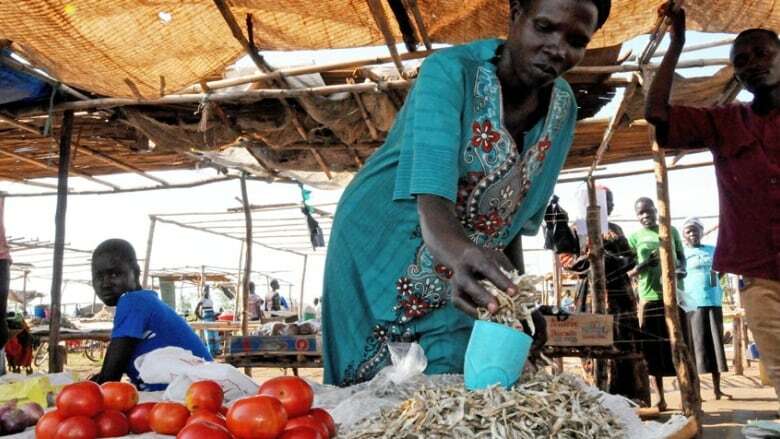 With the money, she bought some onions, tomatoes and small Dagga fish to sell at the makeshift market in Pagirinya refugee settlement. Opia Phillip comes from Pageri, a small community in the south of the country. When fighting broke out in her area, she saw her aunt and cousin shot dead and lost contact with her husband in the chaos. "I am worried that he may have been killed. My heart is disturbed," she said. "I don't know who will take care of my children." 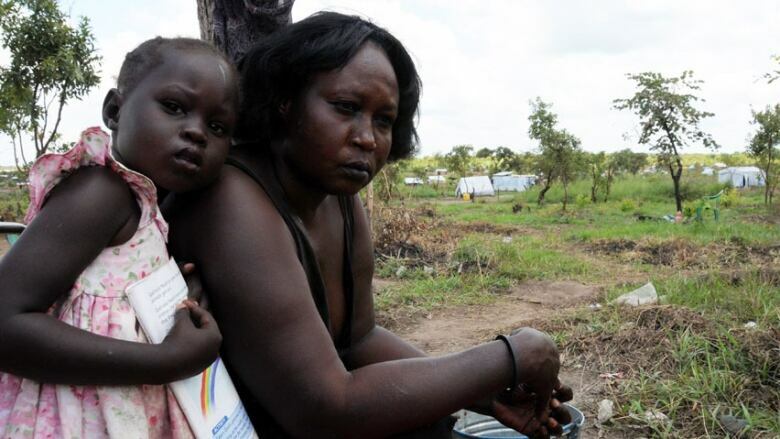 She's afraid to return to South Sudan, but she's also afraid to stay and watch her children go hungry. Mayom Dau Khan, 30, also fled the fighting with his family. He lived in Juba, where government and opposition forces engaged in heavy fighting over several days. In South Sudan, he sold diesel and petroleum. In the refugee camp, he said there's no work. Dau Khan began selling some of his shirts and even his children's outfits to buy them food. Some families, such as that of Moses Asobaku, are even considering going back. Asobaku plans to send his wife north along the dangerous Nimule Road connecting Uganda with South Sudan's capital city Juba. They're hoping she can return to their home to collect money and some supplies. He knows there's a risk, but worries about how to feed his children and keep them in school. His wife speaks Arabic and local languages, which they hope will help keep her safe. The couple's daughters have been studying in Adjumani, a town near the refugee camp, but Asobaku is already late on the second term fees and doesn't know how he'll pay for the third. The girls could study at the school in the camp, but he wants to give them a good education – and hope for the future. In Juba, his children ate several meals a day, and enjoyed tea in the afternoon. Now the family eats a single meal a day – at 3 p.m. or 4 p.m.
"There is no food, there is no way out. People are selling their clothes, selling their mattresses," he said. "They are risking themselves. They are risking to return." Carolyn Thompson is a journalist and media trainer based in Juba, South Sudan. She previously worked for several Canadian newspapers.